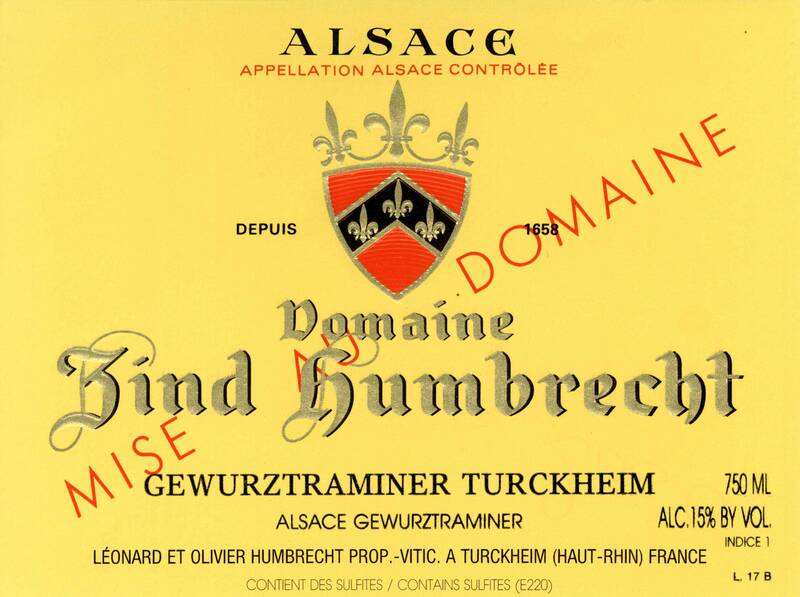 There have been a few years since we produced any Turckheim Gewurztraminer. The reason is that we either used most of the grapes in the varietal bottling or in the Herrenweg. In 2006, we only used the oldest vineyards to produce our Herrenweg and Herrenweg Vieilles Vignes, leaving enough grapes to produce this wine. The botrytis was quite intense on the gravely floor around the winery in Turckheim, so the ripeness was high, and yields smaller than expected. Like most other Gewurztraminer from this area, the fermentation was fast and powerful, leaving almost no residual sweetness. 1/2008: the colour is dark gold, typical of late harvest style Gewurztraminer. It is actually bad information, because the first sip shows that there is no sweetness in this wine. It tastes bone dry! The nose is intense, very spicy/toasted, which is also no frequent from the gravely soils. The finish is dense and will appear perhaps brutal if the wine is not used with some savoury or spicy dishes.